Q:How deep are the cuts in the copper rings? They appear in the photo to be of varying depths, are they? A:The cut is aproximately 9mm ( 0.35'') They are not 100% the same, but very close. 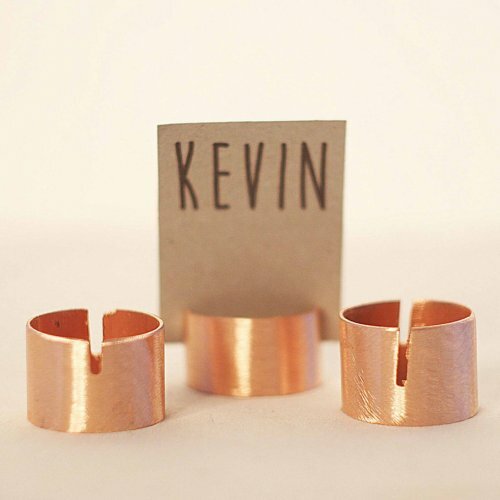 Add a touch of industrial glam to your wedding with these copper place card holders. Copper pieces are molded into a sleek and stylish card holder – perfect for names, inspiring quotes, and/or table numbers. Add this decorative touch to your event for a functional accessory that's also super trendy.